This 3-part course offers practical advice on how to recognize Reality Shifts and make Quantum Jumps to your most perfect version of you. Cynthia holds a University Degree in Physics and she is a Quantum Physics Researcher who offers the Science and Proof behind Steering our Consciousness. 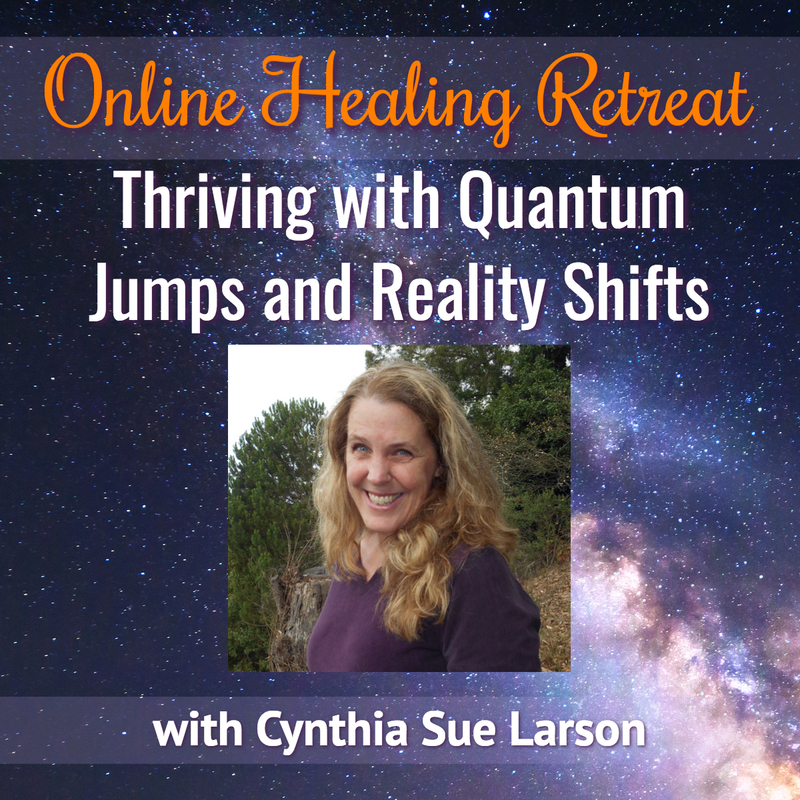 If you’ve ever wondered how to make a Quantum Jump – Cynthia shares all! Join Cynthia Sue Larson to learn how you can steer your life–in the form of consciousness–through worlds of possibility. This is a completely natural process that we usually engage in subconsciously on autopilot, which we can benefit from engaging more fully with conscious awareness and the fullness of our hearts. Discover the wonder of reality shifts we can observe when things appear, disappear, transform or transport, and when we undergo changes in time. Enjoy the feeling of entering a relaxed, detached, energized state of dreamlike consciouness as you align the totality of your being, in order that you can make quantum jumps from one world of possibility to another. Quantum Jumping shows how if you can imagine or dream it, you can take a leap into a new life. Quantum jumps require a flash of insight that a new reality is possible together with a burst of sufficient energy to make the leap. Experience a sense of deep appreciation and reverence for the fullest sense of who you truly are, while opening doorways to new worlds.